Play Pop Pop Rush and more Match 3 Games on Games1.com! Let's pop some bloons! In Pop Pop Rush you need to be quick and smart. Make a chain of at least 3 same-colored balloons to remove them from the field. The longer your chains, the more points you will get. 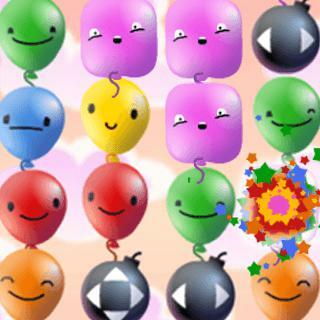 Use power ups like the rainbow or bombs to pop even more balloons.